The amount of Scholarship will be announced after declaration of results of all the applicants. On the basis of merit, the foundation has requested some students to send few more documents for further clarification regarding their application. The foundation is sending an Email to the shortlisted applicants for submission of few more documents. Alongwith the documents, the shortlisted applicants needs to submit the following. 1. The applicant needs to write an Essay in their own hand writing on any one of the following topics. The candidate can write the essay in Hindi, English or in any Indian language in not less than 500 words. Please do not copy the essay from web or Google. 2. Video of Reciting or Singing Full Vande Mataram (five paragraphs). The required documents, essay and video should be sent by Email to the Foundation at scholarships@swamidayanand.org within a week of receipt of the email. You may share the googledrive/dropbox link for the documents. Please note that the foundation will give certain weightage for completion of this process. 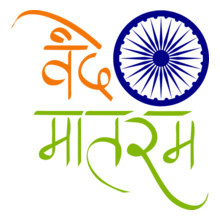 The foundation has received videos on Vande Mataram and essays from the students on the given topics. We appreciate and thankful to the students for providing excellent videos and beautiful essay writings. Following are shortlisted videos and essays received from the students.